Researchers at Indiana University Purdue University Indianapolis recently presented greatly improved methodology using the ENO-30 to determine nitrite and nitrate levels in human skeletal muscle at the American College of Sports Medicine annual meeting. Muscle tissue has been determined to be an important reservoir of nitrite and nitrate and thus may serve as an endogenous source for nitric oxide production in the body. However, analysis of human muscle biopsy samples for NOx has until now been greatly limited by their small size. A recent study1 reported that nitrite was below the limit of detection by chemiluminescent analysis even when assaying up to 40 mg of tissue. Assoc. 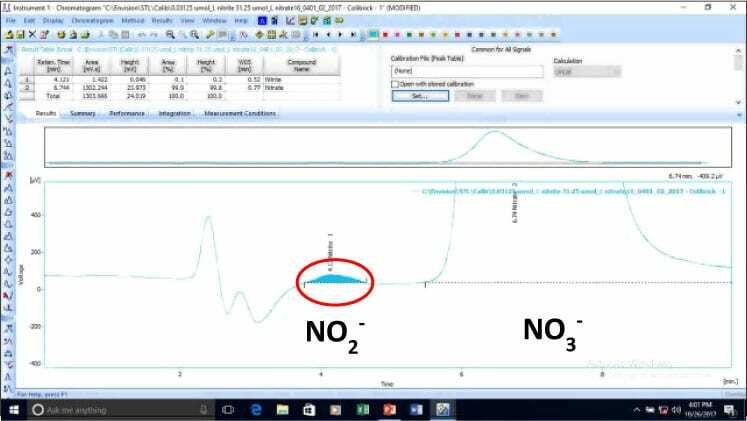 Prof. Andrew Coggan’s lab validated a method for reproducibly determining nitrite and nitrate in samples as small as 5 mg using the ENO-30. The levels of NOx so determined were consistent with literature results from much larger muscle tissue samples analyzed by other methods. The ENO-30 HPLC proved to be ideally suited for the present application, with excellent baseline stability (Fig. 1), sensitivity (limit of detection = 0.06±0.01 pmol; limit of quantification = 0.20±0.03 pmol; n=6 standard curves) (Fig. 2), and linearity of response (Fig. 3). A representative sample chromatogram is shown in Fig. 4. Figure 2. Sensitivity of HPLC (0.3 pmol NO2- standard). Figure 7. Reproducibility of extraction methods. NO2- content of tissue extracts stored at -80°C increased over time, suggesting residual xanthine oxidoreductase (XOR) activity (Fig. 8). 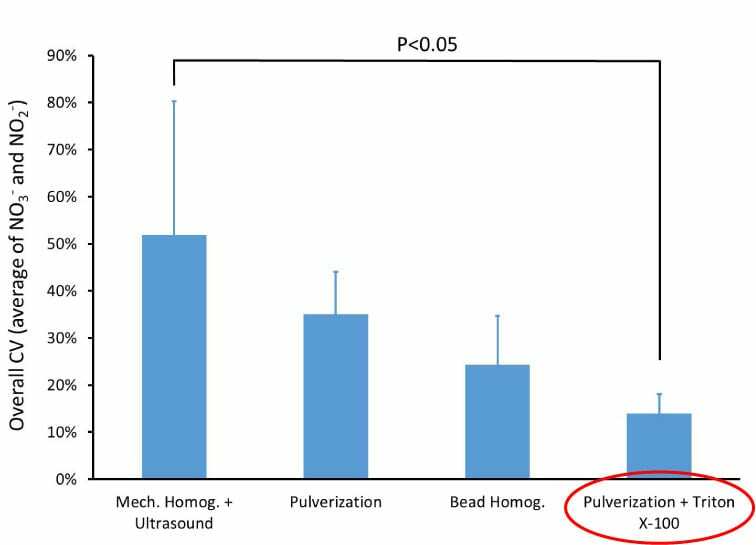 Inclusion of 0.1 mmol/L oxypurinol in the extraction medium completed blocked this increase. They further determined that the method may be applicable for nitrate analysis in samples as small as 5 ng. The Coggan lab’s method should become useful in studies of NOx metabolism in muscle tissue in response to exercise and dietary interventions – and make participation in these studies much less painful!